194 pages | 14 Color Illus. | 3 B/W Illus. Casting is an essential component of any film or video project, but the core skill-set needed to cast effectively is little understood. Casting Revealed: A Guide for Film Directors is a straightforward manual on the art and craft of casting. Here, director Hester Schell offers her insider perspective on casting workflows, industry standards, finding actors, running auditions, what to look for in a performance, contracts, and making offers. This new edition has been updated with fresh interviews with casting directors, full color head shots, new information about online video submissions, and a companion website featuring forms, contracts, and sample scenes for auditions. Gain a fuller understanding of the misunderstood art and craft of casting actors for film and video production. Learn to find the right actors for any production, run auditions, interview actors, effectively judge performances and video submissions, evaluate suitability for a role, discover what it is you need from an actor, view headshots, draft contracts, make offers, and navigate current industry standards, unions, and procedures. This new edition has been updated to include full color sample head shots, new content on online video submissions, listings of casting wesbites, film resources, and film commissions and a companion website featuring interviews with celebrated casting directors from New York, Portland, Boston and Austin, necessary forms, sign-in sheets, contracts, and sample scenes for auditions. "I wish I had Hester’s book when I first started in Hollywood. It would have saved me a lot of heartache because it spells-out in clear and concise language the necessary tools for successful casting every filmmaker needs to know. Reading this book reminded me of how much the Academy needs to award an Oscar® for casting directors. Because casting is an art form, and Hester’s book is the best I’ve read on demystifying the process." 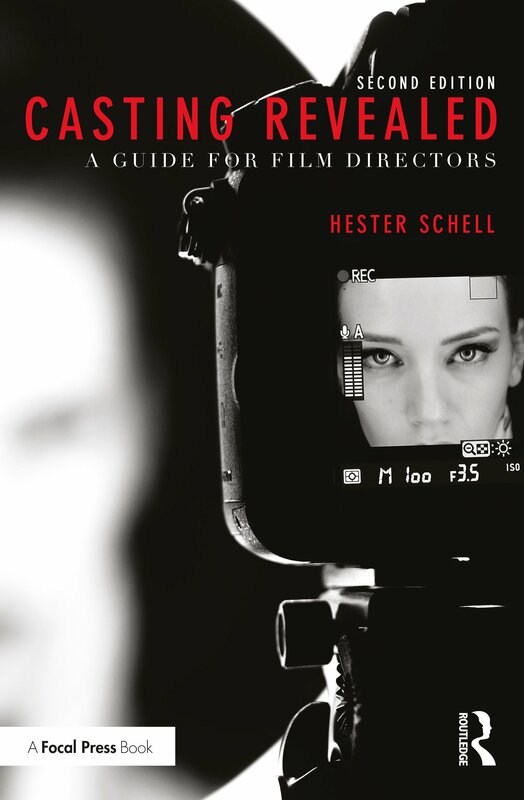 "While nothing can replace the benefits of hiring an experienced casting director, this book has some great insights for beginning filmmakers." "Hester, I have to compliment you on taking on this mystery of a job and making it so enjoyably clear as to what we do as a process and how we take young people who are interested in filmmaking - who don’t understand the first thing about how the casting process is done - making it enjoyable to read and very informative of how this works and how they can use their time and their effort and money to the best of their ability… to get good talent." "Expect an informative lesson on the rules of the game, with strict outlines from every phase of production. Whip out your pens and highlighters and start jotting down notes, because this will surely be on the desks of up-and-coming writers, actors and directors for years to come." Yes, But Is It Worth Watching? WHY LOOK FOR THESE STANDARDS? CHAPTER FIVE: ACTING — WHAT IS IT? GO FURTHER: Who do you like? Ten Weeks From First Shoot Date: Distributing Audition Information. Turn On Your "Flake Radar"
HOW MANYACTORS DO I SEE FOR EACH ROLE? WHO DO I CAST FIRST? Sorting The Session: Do You Need More Options? Put On Your "Poker Face." The Interview And Checking Credentials. Job Tasks And Responsibilities: What Will They Do For You? Hester Schell is a recovering academic, award-winning director, master acting teacher and author. Hester has been either in front of the camera or part of a crew, on stage or directing for over 45 years. The first feature she acted in, shot in Portland, Oregon, won an Oscar™. Hester took a side-trip into academia, graduating highest honors with a Master of Fine Arts in directing and landing a tenured position teaching theatre and film at a California college. She has a column at SCRIPTMAG.com and her articles have appeared in CineSource, Movie Maker Magazine and Coastviews Magazine. Schell is a contributing writer to Sherry Ellis and Laurie Lamson’s NOW WRITE: Writing Exercises from Top Writers and Teachers, 2010, Tarcher/Penguin, and HOW TO BE A WORKING ACTOR, 5th Edition, 2010, Watson/Guptill Publication. She’s a member of the Screen Actors Guild/American Federation of Television and Radio Artists, and the Harvard Square Screen Writers. Speaking engagements include London’s British Film Institute, Burbank’s The Writer’s Store, Drama Books in New York, Connecticut Screenwriters Association, and the San Francisco Black-American Film Festival. For more information, find Hester Schell at IMDb.com, the Internet Movie Database, or hesterschellcreative.com. Hester is available for workshops and seminars on a variety of topics, and is interested in hearing from producers and writers with comedies. She is finishing a novel and working on several scripts with roles for middle aged and senior women.